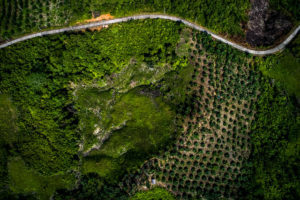 Oil palm, cattle, timber and soy have all received global attention in recent years for their outsized ‘forest footprints’ – the risks that their demand and cultivation pose for tropical forests around the world. Thanks to pressure and advocacy from civil society, governments, shareholders and consumers in the Global North, many companies using and selling these commodities have begun to clean up their acts. They have sought to become – or at least appear – more accountable for the environmental impacts of their supply chain activities. As a result, recent years have seen many make zero deforestation commitments (ZDCs) for the provenance of the commodities on which they rely. From an environmental perspective, the move is welcome and timely. 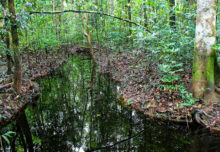 Tropical deforestation accounted for around 12% of global greenhouse gas emissions between 2000 and 2012. If these ‘big four’ commodities go deforestation-free, it could make a big difference for biodiversity and climate change mitigation worldwide. However, following through without producing unintended negative side effects is going to be difficult. And this – or failing to follow through at all – could see ZDCs become dubbed with a tokenistic reputation as being just another public-relations and marketing strategy. A new CGIAR Research Program on Forests, Trees and Agroforestry (FTA)-supported occasional paper by Center for International Forestry Research (CIFOR) scientist George Schoneveld and Particip GmbH consultant Peter Jopke seeks to assess the ZDCs of 50 ‘powerbrokers’ – companies that have the potential to shape rules in major commodities’ global value chains. The work attempts to unravel what these bold-sounding commitments might actually mean for forests, producers and communities on the ground. Unfortunately, the researchers found serious gaps in ZDC implementation practices, which undermine the commitments’ potentials. 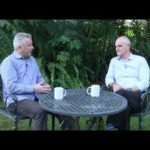 “On paper the commitments are great, and they use the right terms and are fairly comprehensive in their scope, but by and large companies have yet to fully think through how they’re going to deliver on them,” says Schoneveld. Company commitments to full transparency in sourcing locations and suppliers, and to independent verification, were found to be particularly weak. This doesn’t necessarily suggest that companies are trying to hide bad practices, say the co-authors, but more that it can be very difficult for them to follow their own supply chains back to their roots. Sourcing practices of the many upstream actors often involved can change without the lead firms being aware. The study also found that almost 75% of companies did not demand company-wide ZDCs of their suppliers. This suggests that most companies actually tolerate deforestation in their supply chains, as long as their own supply comes from non-deforested areas. So suppliers to these companies might still be instigating deforestation and selling commodities from deforested areas to other, non-ZD–committed customers. 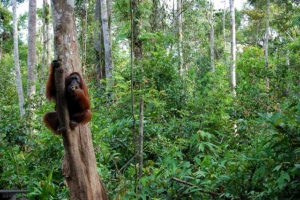 The finding makes sense, given that going zero-deforestation was “purely a business decision,” not a moral or philanthropic one, for most of the companies surveyed, says Schoneveld. As long as their brand is not contaminated, companies have little incentive to pressure their suppliers to stop deforestation entirely. Another issue of concern is the fact that in most cases, the powerbrokers did not explicitly account for the externalities resulting from their ZDCs, says Schoneveld. For example, insisting on buying commodities cultivated on non-deforested land increases demand for that land, which can displace former land uses such as food production. As a result, deforestation could occur indirectly as other users of that land are pushed to resume their practices elsewhere. Committing to ZDCs may also prompt companies in the supply chain to sell off forest land banks that they hold, since they will no longer be able to use them to cultivate commodities. This land could then be deforested by a new owner or by communities vacating their farmland to enable corporate expansion. Perhaps most concerning of all is that if companies implement more stringent production standards, only some producers will have the capacity to conform, so many smallholders are likely to be excluded, says Schoneveld. “If you have to monitor everybody and trace all oil palm that comes in, and you have ten thousand suppliers, it becomes extremely costly,” he explains. “So a lot of companies are starting to say, ‘Okay, we have to cut our supply base and focus on those suppliers that we trust and know well.’ ” Oil palm refiners in Indonesia, for example, have begun to concentrate their ‘sustainable’ supply base around larger plantations. And this is where the tensions become quite stark. 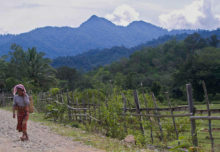 One interviewed company, for example, complained that they were forced to remove a “huge chunk” of smallholders from their supply chain to please NGOs campaigning for ZD, because they expected to be criticized for failing to protect forests more than acknowledged for their efforts of including smallholders. Certainly, given the influence powerbrokers have on both suppliers and governments, there are opportunities to innovate and exert pressure within value chains themselves. “It’s an important place to start,” Schoneveld acknowledges. Jurisdictional approaches that integrate landscape planning, deforestation monitoring and improved regulatory enforcement across a defined jurisdiction may provide part of the solution. Most companies are interested in working in places that can guarantee that production is sustainable, because it reduces their own monitoring and traceability costs. 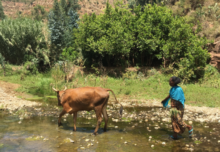 And smallholders within those areas can comply with ZD requirements, without needing to sign up to complex and expensive monitoring and evaluation systems. Some jurisdictions, such as Indonesia’s South Sumatra and Central Kalimantan provinces and Malaysia’s Sabah state, are beginning to apply these kinds of approaches, “saying, ‘hey, there could be economic benefits to being sustainable,’ ” explains Schoneveld. 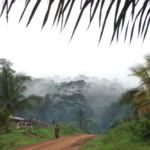 By Monica Evans, originally published at CIFOR’s Forests News. For more information on this topic, please contact George Schoneveld at g.schoneveld@cgiar.org. 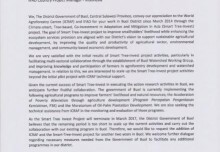 This research was supported by UKAID and International Forestry Knowledge II (KNOWFOR II).